How do you identify which you have? Not sure which Transmission it has or gear ratios, etc. The first letter is different. Just Kidding: you have a ZJ. First off, What is the difference between an XJ and a ZJ? the XJ, officially named "Cherokee" was introduced in 1984, and came in either a 2 or 4 door compact SUV, powered by either a 2.5 I4 or 4.0 I6. you only want to consider years 1987-2001 when purchasing because from 1984-1986 Jeep used horrible engine choices. The ZJ, officially named "Grand Cherokee" was introduced in 1993 with a 4.0 I6 or a 5.2 V8. These are only available as a 4 door and have a more "modern" look to them compared to the XJ. 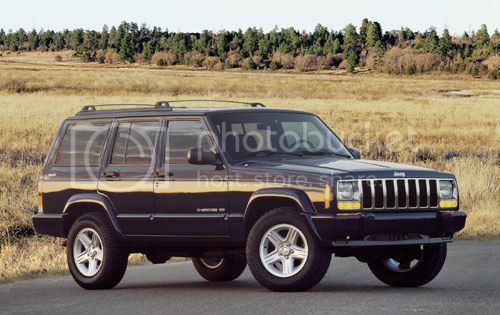 A ZJ is any grand cherokee from the year 1993-1998, because in 1999 Jeep came out with the first revision to the grand cherokee which was designated as WJ. First lets see some general information about diagnostic systems. anything 1995 or older is considered OBDI diagnostics. this means that to read trouble codes on your vehicle you must typically look at a flashing light to determine a number that is then referenced on a code chart. Anything 1996 or newer is considered OBDII and can have a scanner plugged in to have the code read. with this you can also look at live vehicle data that can further assist in vehicle diagnosis of problems, or just curiosity etc. For XJs, durring 1987-1990 Jeep used a system built by Bendix called "renix". it has no check engine light which is great for passing smog checks as you dont have to worry about it coming on. However, the system can be quite picky about certain sensors thus making it do funny things (no start issues, high idle, failing smog for no reason). These Jeeps also came with an inferior closed style cooling system which uses a pressure bottle that likes to crack and leak. On top of all that, Renix jeeps make about 15 hp less than any jeep after 1991. but fear not! Myself and Fred run renix systems with minimal issues, but I would suggest that a more "mechanically inclined" person own a renix jeep because of its oddities. 2000-2001 had common head cracking issue (Neil dealt with this) so also avoid unless mechanically inclined or be prepared to drop $$$ on a new head. The only automatic ever used in the XJ was the AW4 which was built by Aisin Warner (japanese). This transmission is bulletproof, so no worries if you are going automatic. For manuals, anything 1991-1998 will use the AX-15 (also built by asin warner). again, this is a good transmisson. in 1999 Jeep started putting in NV3350, which is also a good transmission. so overall, you shouldnt have to worry about the transmission in an XJ. This doenst mean maintenance should be neglected though! Both the 4.0 and 5.2/5.9 engine choices are very considerable for ZJs. The 4.0 may make less power than the V8, but it is generally more reliable. The 5.2 V8 is still considered reliable and i would not hesitate to buy one with high miles. I would prefer the V8 because the ZJ is heavier than an XJ and i like having some extra power, but the 4.0 is not a bad choice. 4.0 equipped ZJs came with the chrysler 42re transmission. 5.2 V8 equipped ZJs came with the chrysler 44re transmission. Special Edition 5.9 V8 equipped ZJs came with the chrysler 46re transmission. What is true for ALL of these options is that these transmissions should we watched carefully! they are known to go out fairly early as you can see plenty of them on craigslist with bad transmissions or even brand new transmissions. Because of this I highly recommending proceeding with caution with ZJ automatic transmissions. Add a good sized transmission cooler, change the fluid frequently, and treat it nice and it will last longer for you. Now, i dont want to discourage anyone from buying a ZJ because of this but just be aware of this common issue. The project Grand had a fine transmission and served us well at 226,000 miles, so dont be too afraid of a ZJ! 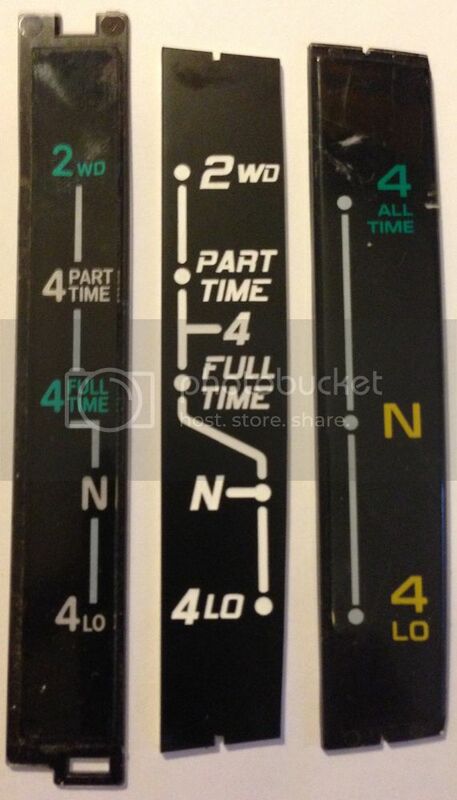 the difference between part time and full time is simple. think of full time as all wheel drive and can be used on the street. part time is for off road only, as it couples the front and rear axles together so it should not be used on the street. Awesome! Thank you for all the info. Would I notice a difference in my Renix? ?